Daffodil was rescued from neglect. Her previous owner had no further use for her and wanted her shot. 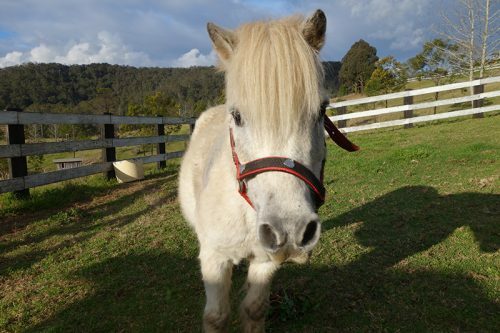 When we bought Daffodil home, she had a terrible, untreated skin condition where she had rubbed herself raw on her flanks and neck. She was also emotionally shut-down and nervous of humans. We are currently focused on healing her body and her heart and most importantly giving her back her joy of life. Daffodil is healing fast and learning to trust humans again. She is very sweet and curious. 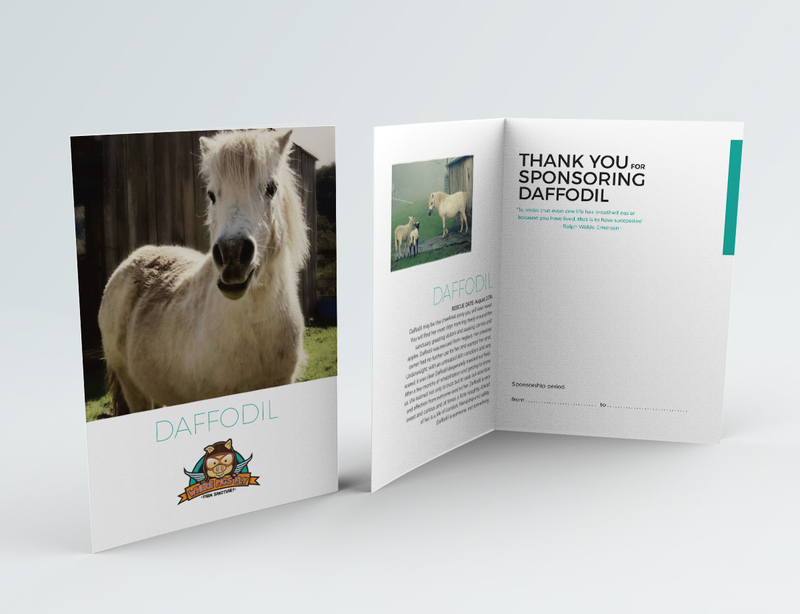 As a sponsor, you will receive a beautiful colour photo-card of Daffodil along with her personal profile. This will be mailed within five working days of receipt of order.